What's a table setting without interesting dishes? 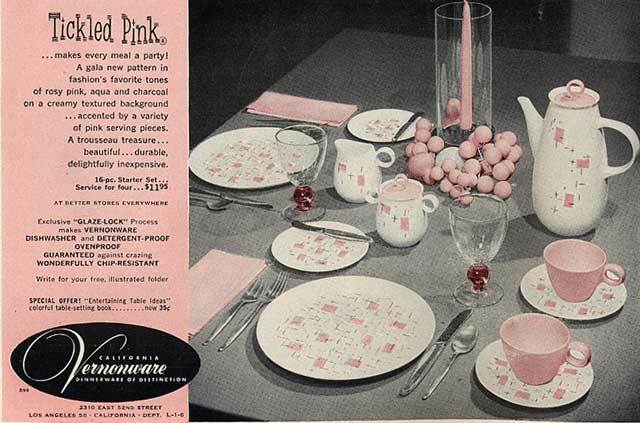 This was my parents' casual china pattern. Seriously. But no pink grapes.